Healthier Living 4 You Bio A short version of how we got started! The Healthier Living 4 You (HL4Y) Company was founded in 2004 with a mission to bring quality alternative healthcare equipment to individuals, businesses and healthcare providers. John Jacobs launched HL4Y as a result of his family’s profound experience and success with alternative health solutions. Healthier Living 4 You is a family business. 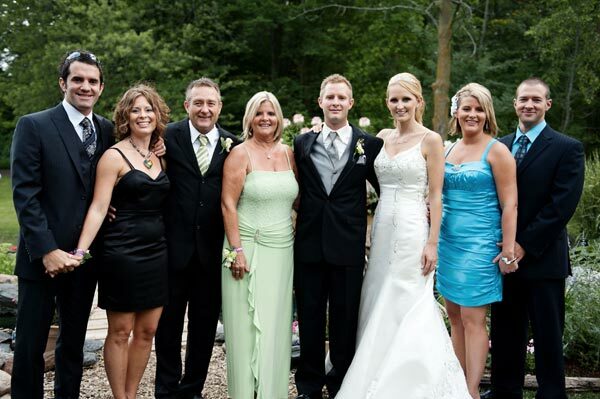 Bev and John have been married for over 35+ years and have 3 lovely children: Kerri and her hubby Johnno, Janelle and her hubby Paul and their daughter, Chantelle, and our son Craig and his wife, Deanna and their children Carson, Dylan and Grace. They live in a beautiful, small Canadian town named Wellesley, Ontario. Bev has been the health crusader of the active family, constantly promoting the benefits of cleanses and detoxes for everyone, regardless of age! Also promoting healthy eating habits with lots of fresh fruits, veggies and homemade meals, while having quality Alkaline water systems for drinking water, and even for the swimming pool for the last 30+ years. A sparkling clear pool is possible with minimal chemicals! Despite every effort Bev became very ill in 1995. She felt very lethargic with no energy, chronic fatigue, sore joints and unexplained stomach pains. For the next FOUR YEARS she was on a mission to find out what was wrong, traveling from doctor to doctor, trying everything to no avail. Finally after getting a hair analysis done, the problem was uncovered and that was she was full of heavy metals, especially Mercury! These toxins built up inside of her and finally took over her body causing her extreme health issues. John knew this product had to be made available to everyone! People could benefit so greatly and easily from this just as the Jacobs’ family…even their little Shiatsu dog, Molly has!! That is where the business began. All products are tried, tested and most importantly, consistently USED by the entire family. It was quite a journey for the Jacobs family, especially Bev. She came to realize, if you don’t have your health you don’t have much and you can’t do much to help others. It was a long struggle, but she made her way back to vibrant health! The Jacobs’ Family Goal is to make sure others don’t have to go through what they did for many years of poor health, dwindling bank accounts due to trying to figure out what was wrong and a lot of stress. They have found answers that have helped thousands of people’s health issues and now they are sharing it with the world! Responding to their customer’s needs, John and Craig designed and developed the HL4Y ionic foot bath known as the HL4Y 3 in 1 FIT System- Premium Detox Foot Bath. Having the Far Infrared Heat, Ion Detoxification and a TENS unit all in the same machine, provides three therapies in one to restore energy and treat pain more effectively. The HL4Y 3 in 1 FIT System- Detox Foot Bath has hit immediate success with distribution agreements throughout North America. Bev gives Ion Detox sessions out of the home. Craig, Kerri and John are in sales and distribution of HL4Y products. Craig and John are always researching new products to answer calls of customers and meet their needs. Kerri and Johnno, a registered massage therapist, have opened their own Wellness Spa right in Wellesley, Ontario. They perform Ion Detox sessions, infrared sauna sessions and much more. Janelle has her own spa and also offers the HL4Y 3 in 1 FIT System- Detox Foot Bath from her aesthetics business, and has recovered her investment in the Detox equipment within 2 months! The experience has brought about a revolutionary change for John, giving up an auto repair garage to concentrate on distributing established healthcare products. Success has spawned a series of projects including the design of an exclusive infrared sauna, their own line of Alkaline Ionized Water machines, AlkaMate which make healthy alkalized water in just 15 minutes, The AlkaPitcher for instant alkaline water, natural supplements, bringing on some brilliant DKN Vibration Exercise machines, Caribbean Clear to use upto 80% less chemicals in a pool, a Heavy Metals Test and more innovative products to come! The Jacobs family business is growing and expanding each and everyday and has now become a place known to many to educate themselves and to purchase alternative health products that really work!